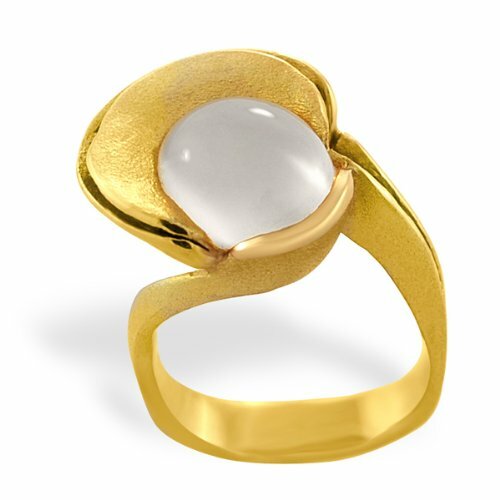 Manolo Jewelry » New Year, New Moon, New…Moonstone? New Year, New Moon, New…Moonstone? No, not THAT New Moon. The January 4th will see the first new moon of 2011. And of course, thinking of the moon makes one think of moonstones. Anyway, on a trip to Holland in 2005 with my now-husband, we stopped at this tiny little store in a tiny little town, and there, he bought me a sterling silver ring with a moonstone in it. The funny thing was that I put the ring on my right ring finger, as that is where it fit. When we exited the store, all of our Dutch friends started oohing and aahing and clapping. It turns out that they wear their wedding bands on their right ring finger, not their left. So they thought we had just gotten engaged. I look at this ring and am flooded with good memories. If I had a chance to grab any of my jewelry in the event of a fire, this ring would be one of the first things I would grab. 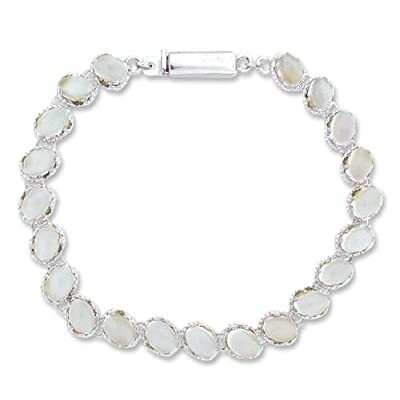 In India, moonstone is regarded as a sacred stone. It is believed to bring good fortune. And really, couldn’t we all use more good fortune in 2011? So it is a stone that is reputed to bring good fortune AND it is a stone to which I hold a great sentimental attachment. Do I really need more reason than that to hunt for pretty moonstone jewelry for my beloved readers? No. No I do not need more reason. This entry was posted on Monday, January 3rd, 2011 at 10:51 pm by La Petite Acadienne and is filed under Alexis Bittar, Birthstones, Earrings, Gems, Gold, Pearls. You can follow any responses to this entry through the RSS 2.0 feed. Both comments and pings are currently closed. I have a moonstone ring that my husband got for me and I’m very fond of it but I have to say one thing about moonstone: It’s not very hard. I was washing dishes once and did not want to lose it down the sink, so I dropped it into a glass for safekeeping. The stone shattered. That’s when I found out that moonstone is actually a form of feldspar (like gypsum) – it’s only about a 6 on the Mohs hardness scale (vs. stones like topaz and other forms of quartz which are 8on the scale). Luckily, we took the ring back to the jeweler and he had another moonstone of the right size to replace it with. But just a word to the wise: don’t strike it. Disclaimer: Manolo the Shoeblogger is not Mr. Manolo Blahnik. This website is not affiliated in any way with Mr. Manolo Blahnik, any products bearing the federally registered trademarks MANOlO速, BlAHNIK速 or MANOlO BlAHNIK速, or any licensee of said federally registered trademarks. The views expressed on this website are solely those of the author.